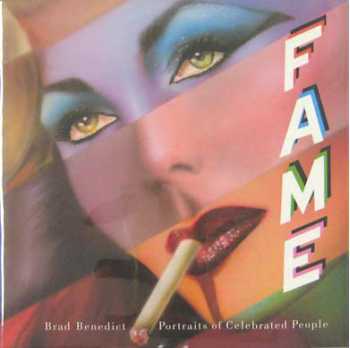 Subtitled "Portraits of Celebrated People." Straight portraiture alongside caricature and parody emphasizing the "New Illustration" with lots of airbrush and high gloss work. The best 1970s illustrators are represented. Artists with multiple images include Charles E White III, Doug Johnson, David Willardson, George Stavrinos, Neon Park, Antonio, Todd Schorr, Paul Jasmin, Gary Panter, Dennis Mukai, Robert Grossman, Lou Beach. Richard Amsel is represented with 12 images. Even Robert Blue is represented with a painting of Betty Page.